Every kitchen is unique, just like every family is. Selva has over thirty years of experience in making kitchens in Como, Italy and in Lugano, Switzerland. Every kitchen is unique, just like every family is: for this reason, Selva offers a personalised advice for private costumer, real estate agents and architects. The costumers are lead throughout all the steps by an interior designer who helps them to choose not only the kitchen, but also the electric appliances, the work top, the furniture, the illumination system and all they need for a perfect kitchen. Kitchens from international brands as Bulthaup, Valcucine, Modulnova, Dada, Poggenpohl and Veneta Cucine are exposed in all the three showrooms of kitchens in Como, on Lake Como, and in Lugano, Switzerland. Several brands of kitchens to allow everyone to find their own style: from minimalism to Scandinavian kitchen; from timeless Italian design to classic country style. Bulthaup and Poggenpohl represents the severity and the minimalism of German design: Bulthaup kitchens are deeply linked to Modernism and to the Bauhaus Movement. Valcucine is an Italian company that has made the search for innovation its main characteristic. It proposes kitchen furniture characterised by an aluminium structure that lasts through the years and that reveals a deep and committed technical study. The elegant and timeless design of Dada is now curated by Vincent Van Duysen, the Belgian architect who has transformed the world of kitchen cabinets with his VVD kitchen, showed for the first time at the “Salone del Mobile” during the 2017 Milan Design Week. Modulnova and Veneta Cucine offer excellent quality furniture, perfect for those looking for a solution that is able to combine quality with the daily lives of modern families. All the brands selected by Selva are suitable for interior design projects both for private costumers and for B2B solutions. 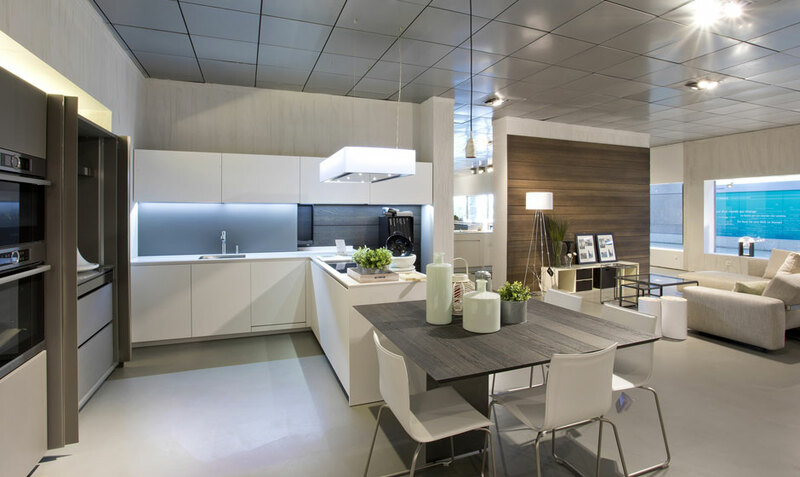 You can find all the brands in the showrooms of kitchens in Como, on Lake Como, and in Lugano, Switzerland.